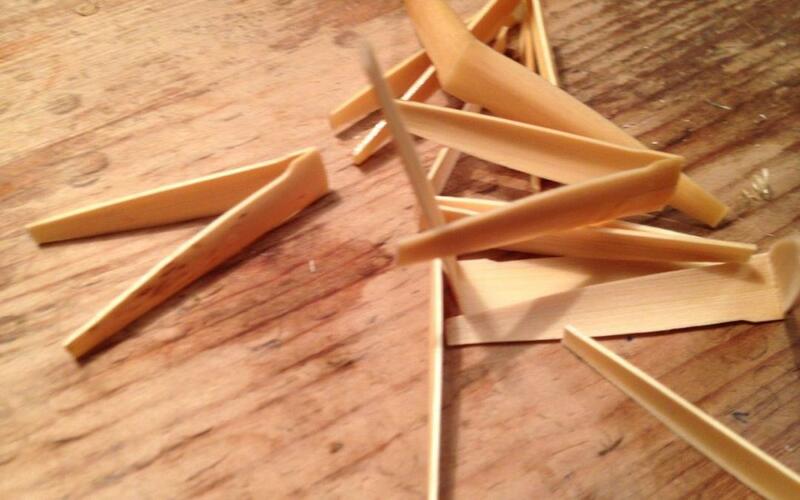 If you’re just getting started with reeds, buy CHEAP cane, so you can ruin your first bunch without ruining your pocketbook. The practice cane from Midwest Musical Imports is great, or whatever is cheapest from wherever you are ordering. Something gouged and shaped. After you’re comfortable winding and scraping, get better cane. I haven’t fallen totally in love with any commercially available cane yet, but we’ve been having success with Midwest’s choices. Go with 10.5-11 diameter and Gilbert -1 shape, and any kind of cane and gouge will do. Or, of course, check out my Order Cane page, and try mine.